This Christmas, Eden Park is giving Kiwi kids the opportunity to build NZ’s national stadium, one toy brick at a time. The largest stadium in the country has collaborated with Novelli for the design, sourcing and production, and New Zealand’s favourite retailer Kmart to get it out onto shelves at all stores in time for Christmas. This is a limited edition, collectible gift and Novelli is proud to be part of this awesome project. These toy brick models are a powerful way to engage a wide range of audiences, especially children and teenagers. The model features all stands of the 115 year old Park, complete with green hallowed turf, the South stand’s ETFE (Ethylene tetrafluoroethylene) exterior, rugby goals, and the stadium’s superscreens. The block toy also features signage from some of the Park’s current sponsors who have also supported this project; Kmart, ASB, Samsung, Kia, AA Insurance, Kennards, I Love Food Co., Barfoot and Thompson, Auckland RSA and Kings Plant Barn. The product is recommended for children, big and small, over six years old and once completed measures 380mm by 380mm. The Eden Park toy brick model is available for purchase through the following links. Check out our 20 page brochure featuring current merchandise best-sellers across a range of price-points. There is indicative pricing for each section. Please note pricing is subject to branding requirements and additional logos. Giving gifts to your clients, no matter how big or small the item, shows them that they are important to you and that you value doing business with them. Choosing the best type of corporate gift can be a complex task, with the array of gift ideas available to you. Before deciding on the best corporate gifts for your clients, you need to know the essentials of corporate gift buying. Here are some things you should be aware of before you purchase gifts for your clients. Some organisations may have a gift policy that either prohibits giving and receiving gifts or limits the price value of a specific item. Before you send out gifts to your clients, check with the recipients whether there are limitations on gift giving, so they won’t have to return the item to you. Deciding on what to give your client may pose a challenge for corporate gift giving. One way to address that is by calling your clients and asking them what their hobbies and interests are, to give you an idea of what to give them. You can also put yourself in the shoes of your client and think from their perspective. Would you enjoy the gift if it were given to you? Answering this may help solidify your decision. If the goal of your corporate gift campaign is for your clients to keep your business top of mind, choose items that they can use daily. Some good examples include writing materials, office essentials, bags or mobile phone holders. Cash gifts may sound like an easy solution, but please do not consider giving cash to your clients. It is socially inappropriate to do so. The best option, in this case, would be a gift card. Different countries and cultures will have their own sets of traditions for gift-buying. If you work with clients from different nations, do some research on what is appropriate for their lifestyle or practices. What is appropriate in one culture may be offensive in another. You must make sure that you are aware of the gifting traditions of the company or nation in which your client is based. The business gifts that you send can reflect the image of your company. Avoid giving lower quality items that can impair your company’s good name, and invest in fewer, more excellent gifts instead. At Novelli, we believe that things made with care stand out. Our team will discuss your corporate gift campaign with you, study your brand and work around your preferences in creating your corporate gifts. We make sure that each aspect of the product will represent your company well, so we take great care in paying attention to each detail of your branded business gifts. Novelli creates unique and bespoke corporate gifts for your business. We are one of the best corporate gift suppliers in New Zealand, and we are a company of choice for some of the biggest brands on the market. Our team is composed of creative and skilled experts in designing and producing promotional gift items. Work with us for unique and sophisticated corporate gifts. Contact us today. Businesses frequently associate branded merchandise as sellable items at events or giveaways to clients or sponsors. However, promotional merchandise should be seen as an integral part of your marketing strategy. In a 2016 study by the Advertising Specialty Institute, results showed that people generally have a positive impression towards a brand when they receive free promotional products. It’s simple, really: who doesn’t like free stuff? The following are three ways promotional merchandising can help your business and enhance customer awareness. Brand identity is a way of portraying the image you want consumers to have about your product or service. Brand identity can be reinforced through your logo, brand colours and other visual elements. When your business consistently uses a particular colour, tagline or image, your customer will come to associate that visual reminder to your brand. Ensuring consistency is particularly relevant to promotional merchandise. Consistency to your brand identity results to establishing credibility. Promotional merchandise enhances your brand, portrays what it represents and underlines your reputation as a business. Gain client recall by producing high-quality promotional merchandise for your customers to remember you by. Branded merchandise boosts awareness for your product or service. You gain a greater chance of brand loyalty when a high-quality item is given away for free. When you give something away of quality that is useful, you earn respect, improve trust and promote loyalty to your brand. One of the best ways that your business can propel promotional merchandising further is through customised apparel. Logo-ed t-shirts are not just a basic form of promotional merchandise; they have even been identified as a fashion trend by several blogs. Polo shirts, on the other hand, have a perceived higher value than that of a t-shirt. This translates into how your customers see your brand, so be aware of who you are targeting and the scale of your promotion. When a customer wears a shirt with your brand name on it, it’s an effective endorsement. Your business receives continued exposure when your customer wears your branded merchandise. Custom apparel also enables you to engage with your customers better. An expo or conference is an ideal venue for your business to promote brand awareness. When you have promotional merchandise available, your audience can relive the experience after the event has passed. Businesses can propel brand awareness through their employees. Your team members can be walking billboards and brand evangelists of your business. You can give them branded items to give away to their respective communities. Your employees can also help spread the word on your products and services when they are properly equipped with the right information and the right merchandise. Allow us to help you come up with big ideas for your business. 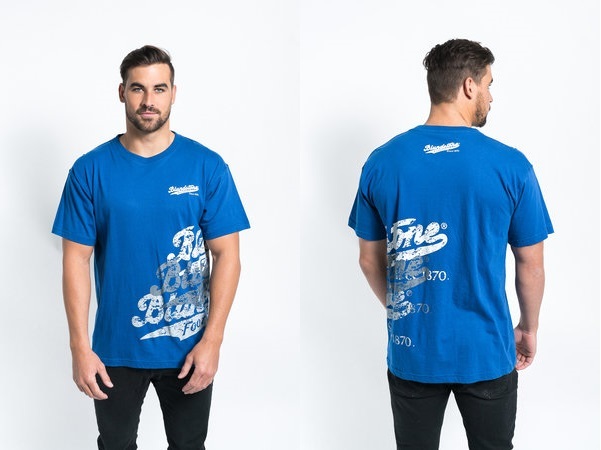 As the leading promotional merchandise company in the region, we provide wholesale blank apparel and develop customised promotional merchandise throughout New Zealand. We have partnered with several big brands to create promotional and fashionable corporate clothing. Contact us at 0800 808 833 for enquiries. The way we dress matters. For most, their clothing choices are merely a matter of habit, but there’s more to dressing up than we might imagine. Clothes make a huge difference in creating first impressions. And while we may think fashion is just ostentatious indulgence, dressing to impress is a worthwhile aspect of our everyday regimen and can even contribute to success. Recognising the influence of your apparel has a subtle yet powerful effect in the workplace, in dealing with partners and in attracting customers. When pitching ideas to partners and release new products or services to your customers, you will be asking your audience to believe in you – just as much as you believe in them. And one way to develop this relationship is through creative and effective company apparel that embodies your brand well. Company apparel serves as a wearable business card and an advertisement to the people you encounter and pass by. It is important that your apparel's design reflects your brand image and your company culture. Your logo design must be clean and easy on the eyes, yet impactful enough to turn heads and create interest in just a glance. Your clothing style must be coordinated with your office wear. If your employees dress formally, perhaps a collared shirt would be a better choice than a V-neck or crew neck that is better suited for a casual dress code. Apart from marketing and advertising, company apparel has been found to have great benefits in the workplace. A study published in the Journal of Hotel and Business Management revealed that company apparel made employees feel satisfied with their job and created a sense of belongingness and teamwork. Wearing company-branded clothing develops pride and loyalty among employees. It makes your employees feel accountable, become responsible and deliver a higher quality of customer service. Novelli is a specialist in bespoke branded apparel that generates brand awareness in a fashionable way. We carry a wide range of customisable, fashionable clothing for all your company branding and merchandising needs. We tailor your orders to a style that is solely for you. Our colouring is based on your company's Pantone Matching System profile. For quick branding solutions, we have a selection of blank clothing that you can choose from such as classic T-shirts to high-visibility workwear. We also offer aprons, jackets, vests, socks and footwear. Our talented team of designers has years of experience in turning simple clothing into profit-generating apparel. Our team will help you stay ahead of your marketing and promotional merchandise strategies. We take a creative and innovative approach to creating promotional merchandising that will make your brand stand out. Give us a call today and let us discuss your needs. You may contact us on 0800 808 833 or drop us a line at hello@novelli.co.nz. As a sponsor of St John New Zealand , ASB Bank were looking for innovative ways to further engage their customers to support fund-raising for St Johns. ASB reached out to Novelli as an existing business partner for their promotional merchandise to see if they could help. Novelli reviewed their portfolio of ideas to consider how to engage ASB customers to support St Johns while ensuring that the branding and commercial needs of ASB continue to be met. The idea soon started to take shape that the ideal solution was to have an ambulance that customers could take home. Soon ideas were flowing, and the concept of the little ASB ambulance was born. Novelli’s partners were soon able to extend this idea to a build your own brick version of the ambulance so that all ages would be able to engage in building and playing with their own ambulance. Novelli developed and produced the ASB Toy Brick Ambulance, and to continue the success, the addition of the 2017 Ambulance station enabled ASB to continue to donate a full-size ambulance for each of the last 3 years and ensure that thousands of kiwi kids have built, played with and enjoyed their very own toy St Johns / ASB ambulance.